THE AFL will look at the possibility of bringing forward decisions by the Match Review Panel for Thursday night matches. Currently, the MRP hands down its report at the end of a round on Monday. But the five-day wait for teams who play on Thursday has drawn the ire of some. Port Adelaide is the latest club in that position, following Jay Schulz's questionable tackle on Sydney Swans full-back Ted Richards in the Power’s 10-point loss at the SCG. Richards was taken off on a stretcher after being knocked out in the collision. 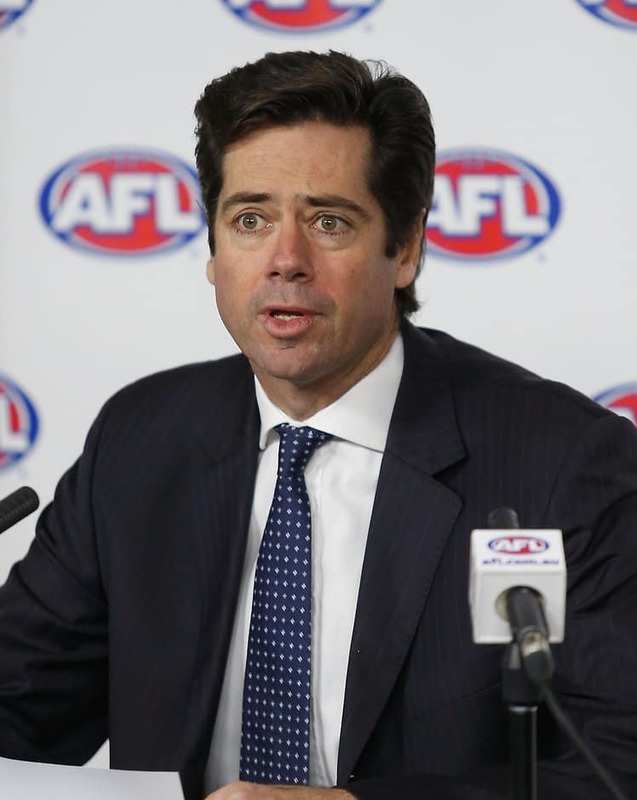 AFL chief executive Gillon McLachlan said the turnaround felt like a long time to wait and has asked football operations manager Mark Evans to investigate. "I think if we can expedite it, it just makes it a little bit quicker and helps out clubs," he told Fox Footy in Darwin during Saturday's clash between Melbourne and West Coast. "On the flip side, there is something in aggregating the weekends on the Monday and looking at everything together.